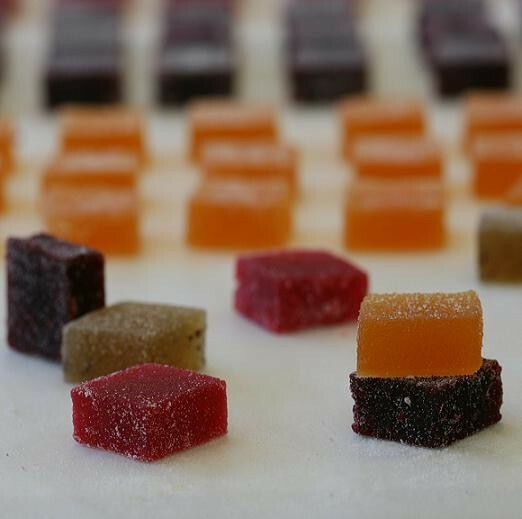 Macarons are always special but how about these delicious little pate de fruit sweets like those seen in Paris candy shops? 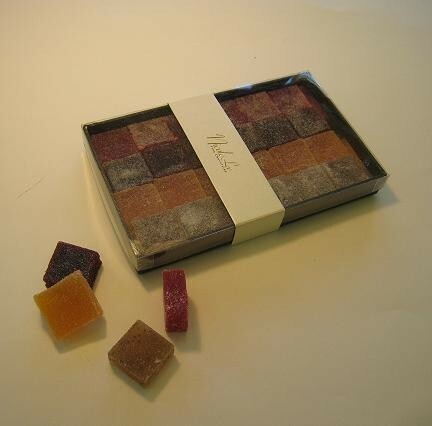 Made by California candy maker Nicole Lee Fine Chocolates, they are chewy and bursting with real fruit flavor. Who wouldn't want to find these yummies in their stocking Christmas morning? Nicole Lee also makes macarons and truffles. Shop here. I'm afraid there wouldn't be any left for Tom! I could eat that whole box :) Reminds me a bit of rosewater Turkish delights. Have you tried those before? YUM! What serendipitous timing! You have picked one of my favorite treats. I am the only one in the family who likes them so all the better!